There’s no disputing that Pokemon Go is incredibly fun. But the overall experience has been hindered right from the start with a lot of bugs that make it a little less enjoyable. Although Niantic has already fixed a lot of issues, users are still reporting problems with the AR mode. The error “We’re not detecting your phone’s orientation. 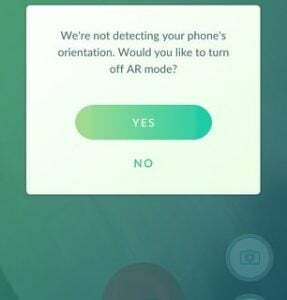 Would you like to turn off AR Mode?” seems omnipresent and affects both new and old devices. This prevents you from playing the game in AR mode – which is one of the best features of this game. Luckily, there are some fixes that might help you play in AR mode. Please go through each guide carefully until you find a solution that works for you. If you play Pokemon Go on an iOS device, you might have updated to iOS 10. A lot of users have reported problems when trying to play the game in AR mode after they’ve updated to early versions of iOS 10.Even more, it seems like iOS 11 beta is still vulnerable to this error. This issue is non-existent on iOS 9 and latest versions of iOS 10. If you have this issue, you have two ways forward. You either update to the latest version of iOS or revert back to iOS 9. Plug in your device into power and make sure it’s connected to Wi-Fi or Mobile data. Tap on Download and Install and enter your passcode if you have one. Once you have the latest iOS, fire up Pokemon GO and see whether AR is working. If it’s still displaying the same error, you should consider downgrading to iOS 9 if you want to continue you Pokemon Go career. Open up iTunes and connect your Apple device to your PC or Mac. Select your device from iTunes and click on Summary. Hold down the option key on Mac (Alt key on PC) and click the Restore button. In the newly opened window, go to *yourusername*/Library/iTunes and look for a folder named iPhone /iPad Software Updates. Look for .ipsw file that has the name of your device and starts with the number 9( the first number signals the iOS version). 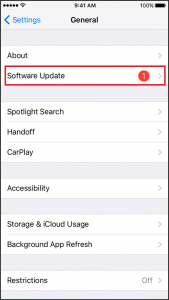 Click on the .ipsw file and wait until iTunes reverts back to iOS9. PS: If you don’t have a backup made by yourself, you can download a reliable one from this website. Note: You might get a message saying you’re running the latest version of iOS. In that case, turn off your Apple device and unplug it from your Mac / PC. While holding the Home button, plug the cable back into your PC or Mac. You should be in Recovery mode. Hold down the option key on Mac or Alt on PC and browse to the .ipsw file and install it. 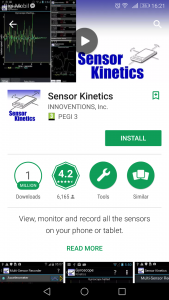 Download Sensor Kinetics from Google Play Store. 2. 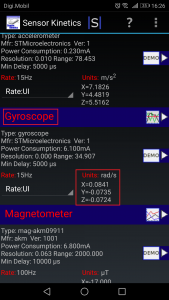 Open the app and keep an eye at the X, Y and Z coordinates under Gyroscope. Tilt your device and see if the values change. If they do, your device has a built in gyroscope. 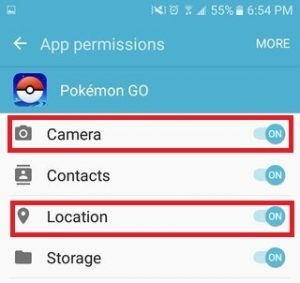 If the values are stuck to 0, then you won’t be able to play Pokemon Go in AR mode. Open Google Play Store and swipe from the left to the right. Tap on My apps & games and look for the Pokemon Go entry. Tap the Update button next to it and wait until the new apk is downloaded and installed. It may be that you downloaded the game from a different region store as yours. For example – you live in the UK but you’ve downloaded the US version because the game wasn’t available in your region. If that’s the case, you should know that Niantic has deployed a lot of localized APKs, so downloading the right version for your region will save you from a lot of potential bugs. Also, if you’ve downloaded the game outside Google Play Store, it’s recommended to install it the official way. Unnoficial stores tend to have outdated versions that might end up not recognizing your gyroscope even if you have one. Tap on the Pokemon Go app. On the App info screen, you’ll see a category that lists all the permissions that an app has access to. Tap On Permissions to expand the list. Once you see the whole list, make sure Camera and Location are enabled. Go to Settings >Acesibillity and make sure Auto-rotate screen is enabled. Restart the game and see if you’re able to play in AR mode.